Almost half of all adults in questioned (46%) in a survey used on-demand pay streaming services such as Now TV, Netflix, or Amazon Prime Video, up from just 29% two years ago. The details were revealed in a report by the Office for National Statistics on internet access for households and individuals. The surge in the proportion of adults who watch videos online has contributed to the growth of companies like Netflix. However, Netflix fell short of meeting its subscriber targets in its most recently filing to shareholders - prompting shares to fall 14%. Daily internet use for adults has more than doubled since 2006, from 35% to 86% - with email remaining the most popular internet activity. Smartphones remain the most popular devices used to access the internet - they are used as a primary device by 78% of people. Almost 90% of adults used the internet at least weekly in 2018, compared to just 51% in 2006. The proportion of adults aged 65 or over who shop online has trebled since 2008, rising from 46% to 48% in 2018. 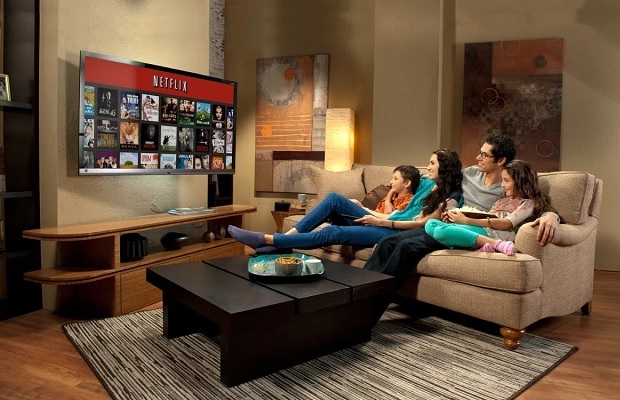 Josh Krichefski, CEO at MediaCom UK, commented: “Streaming services’ rise in popularity is in part down to audience’s desire to watch what they want, when they want, but also reflects the vast array of quality content that the likes of Netflix, iPlayer and NowTV now offer. This powerful combination of ease of access and compelling content has driven the rise of video on demand and pushed each streaming service to outdo the other, and even ‘smaller’ streaming players like Apple are already projected to spend over $4bn in VoD services by 2022.